ZLGS-0.9 Vibrated Fluidized Bed Dryer is suitable for drying and cooling of powder or granular materials, such as citric acid, MSG, borax, ammonium sulfate, compound fertilizer, turnip strip, bean pulp, distillers’ grain, seed, slag and granulated sugar in chemical, pharmaceutical, foodstuff and mineral product industries. The raw materials are fed into the machine from the feeding hole and move forward continuously along with the horizontal direction under vibratory force. The hot air passes through fluidized bed and contacts with the raw materials. After that, the wet air is dedusted by cyclone separator and then exhausted from air outlet. The dried materials are discharged from the discharge gate. 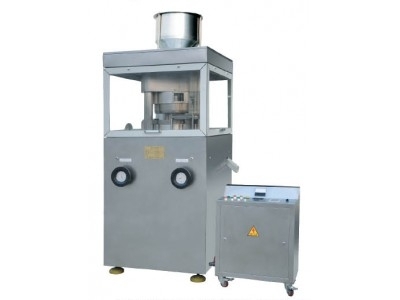 The Vibrated Fluidized Bed Dryer is suitable for drying and cooling of powder or granular materials, such as citric acid, MSG, borax, ammonium sulfate, compound fertilizer, turnip strip, bean pulp, distillers’ grain, seed, slag and granulated sugar in chemical, pharmaceutical, foodstuff and mineral product industries. 1. The machine is driven by vibration motor. It is smooth to run and convenient to maintain. The noise is low and the service life is long. 2. The state of fluidization is uniform. There is no dead gaps or broken phenomenon. 3. It is easy to adjust and widely used. The thickness of the raw materials, the movement speed and the total amplitude can be step-less adjusted. 4. The damage to the surface of the raw materials is small. So it can be used for the raw materials that are easily to be broken. If the granular materials are not normal, the working efficiency can not be affected. 5. 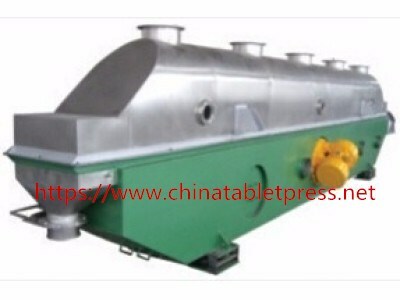 The structure is fully inclosed to prevent cross infection of the raw materials and the working environment. 6. The mechanical and heating efficiency is high and energy-saving effect is good. Compared with ordinal dryers, energy can be saved by 30-60％.